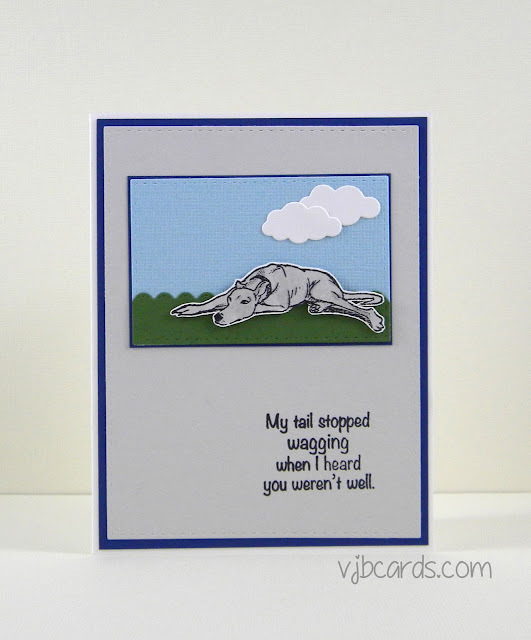 I have several cards to share today. 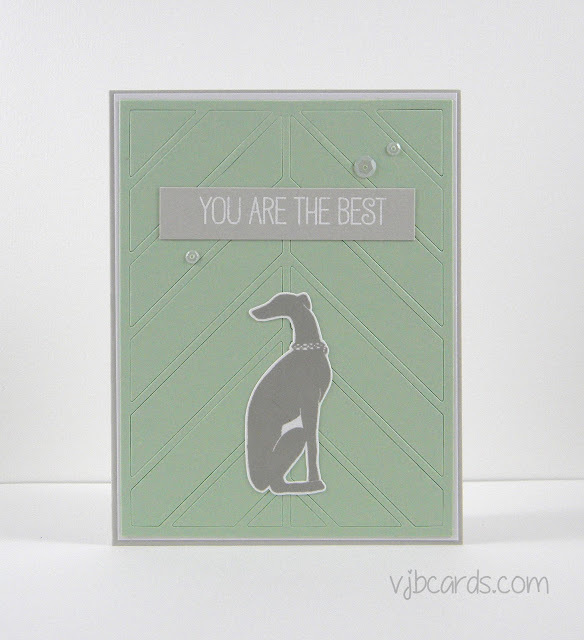 These are all very similar and use the Bixby Border and Bixby Arch dies from Simon Says Stamp. 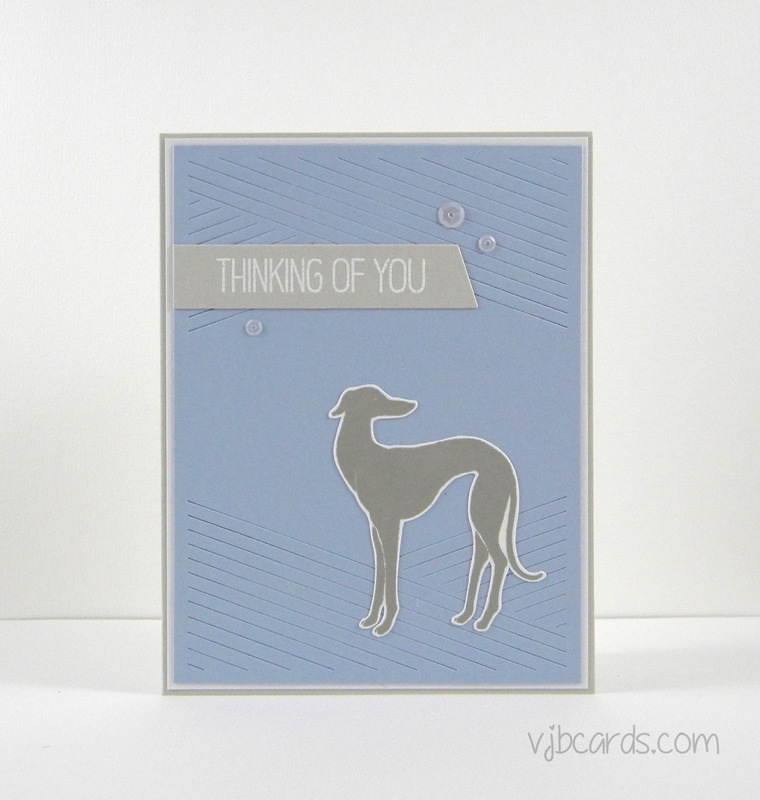 Today I have a few more greyhound cards to share - made for my Etsy shop. 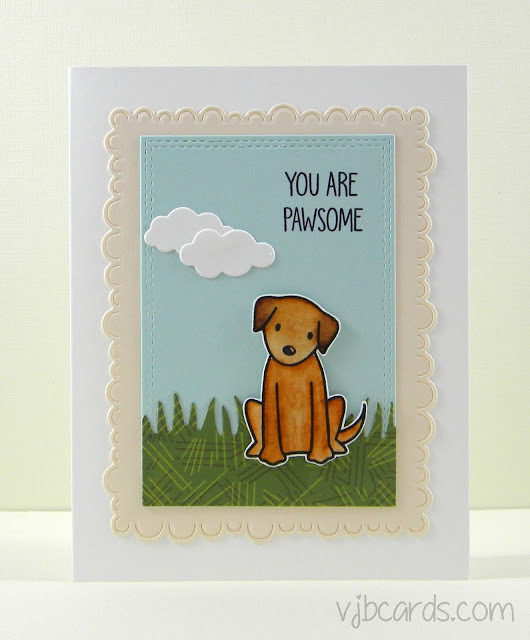 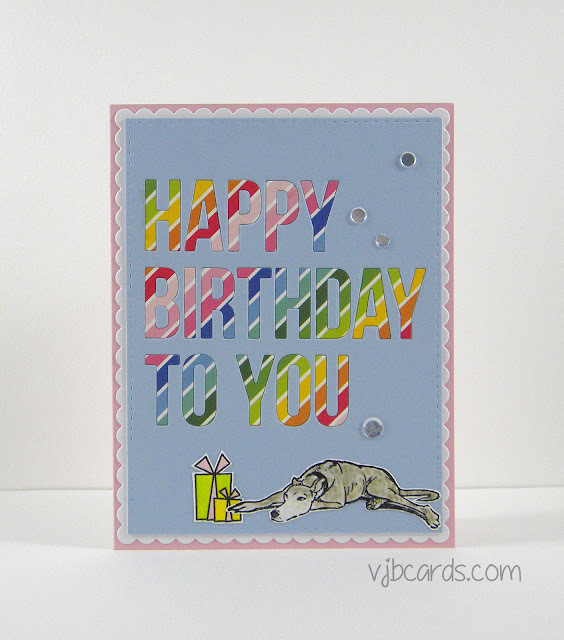 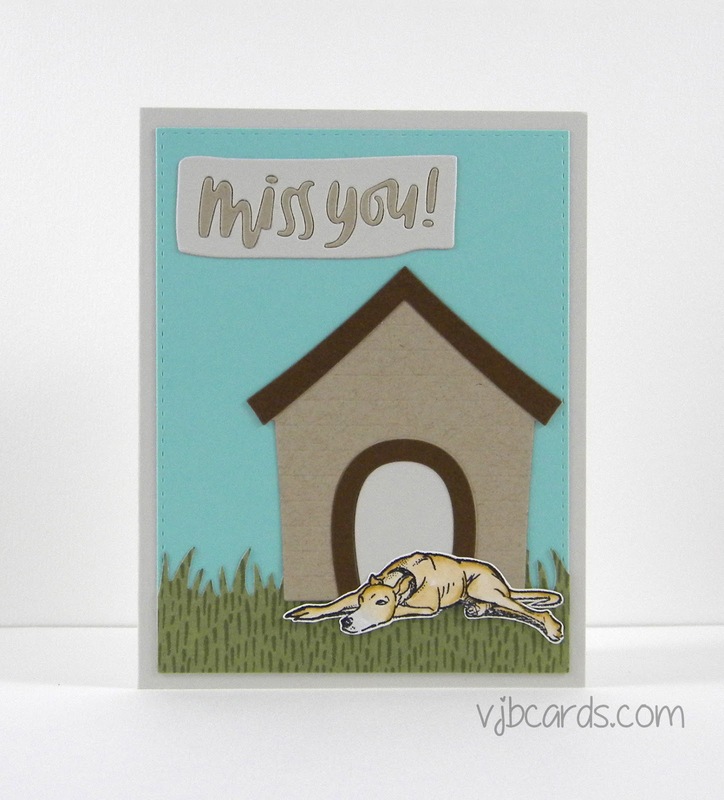 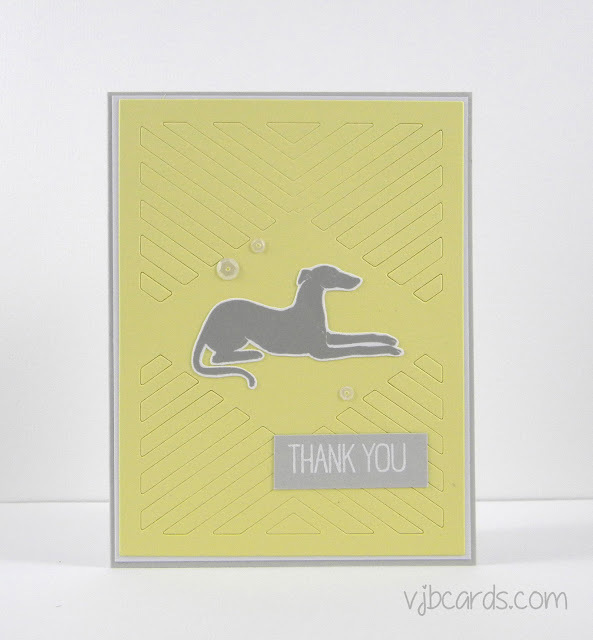 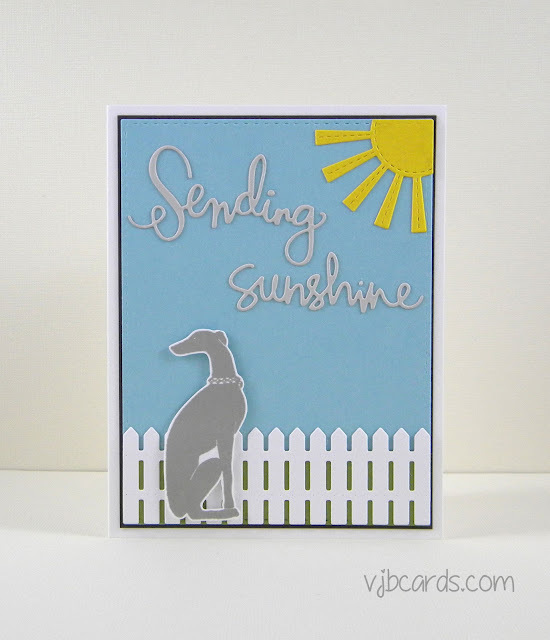 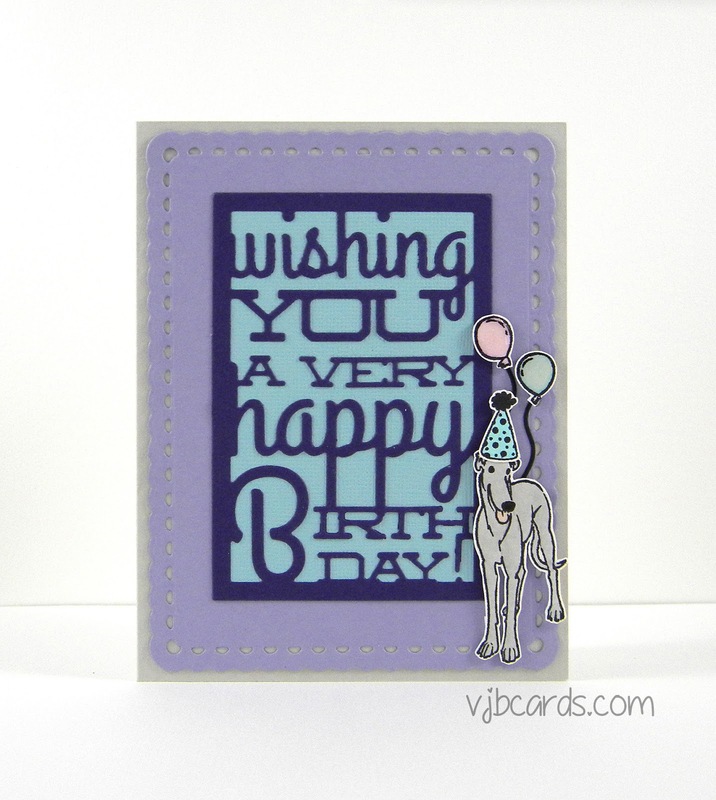 Today I have two more greyhound dog cards made using Hero Arts Diamond in the Ruff stamp set. 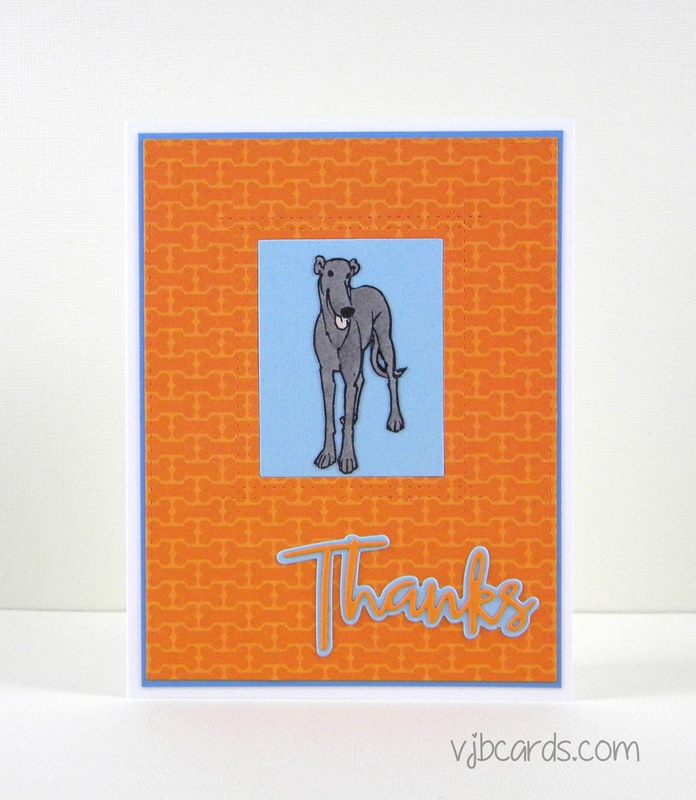 Recently I've been making greyhound dog cards for in my Etsy shop. Today I have four to share, all using the new Hero Arts Diamond in the Ruff stamp set. 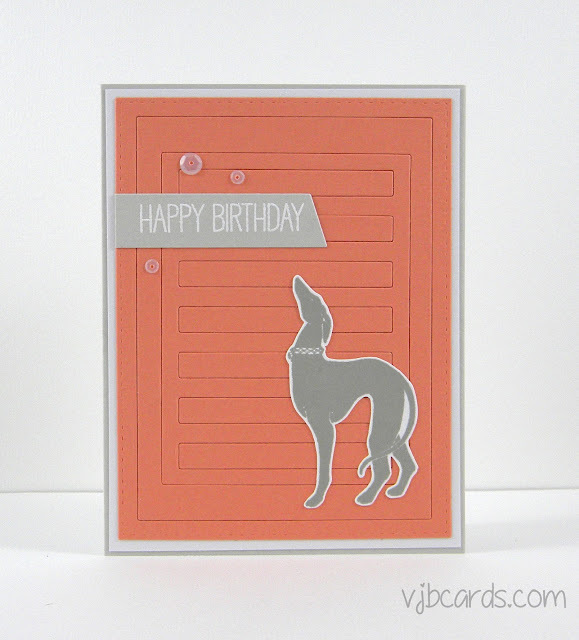 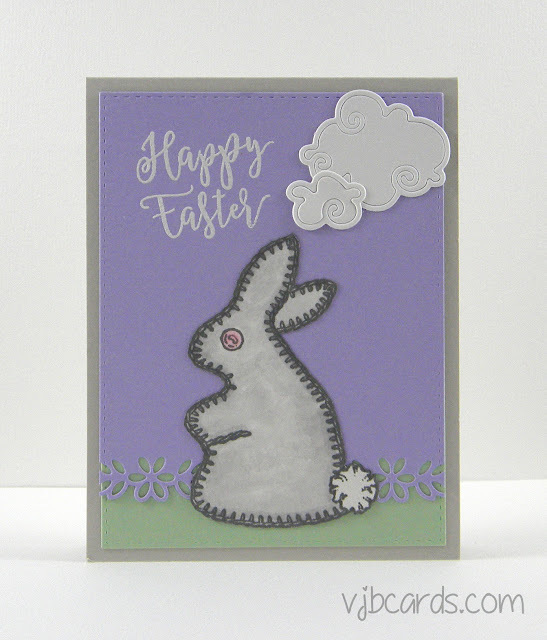 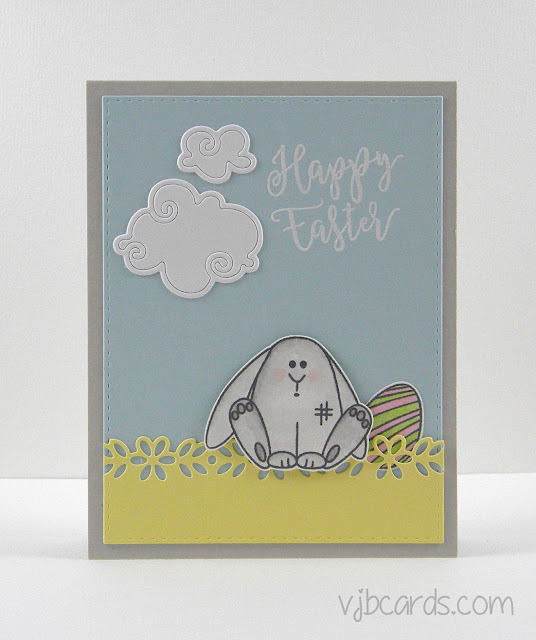 These silhouette type stamps seemed to me to be calling for clean and graphic backgrounds. So I kept them simple by keeping the background all one color, inlaying back in pieces that the dies cut, and adding a sentiment white heat embossed on a strip of cardstock and just a few white sequins. I love using these white sequins (Pretty Pink Posh) as they are mat, not shiny so they add a more subtle detail. Why are cards for men SO hard to make? 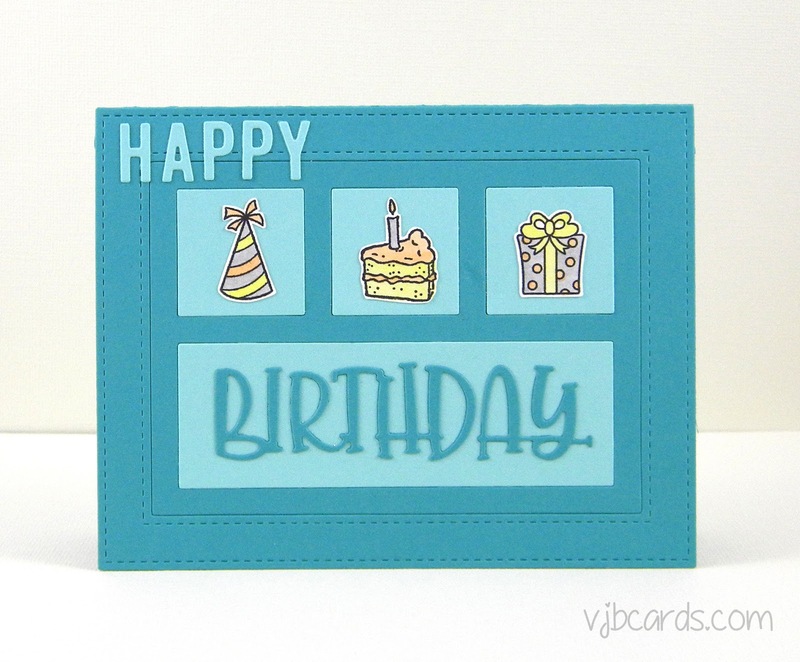 For me they are. 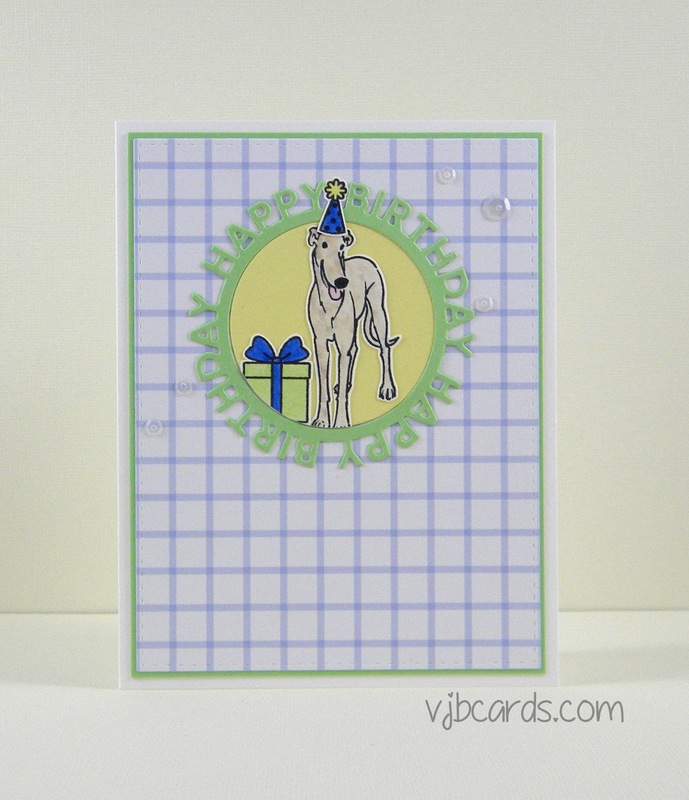 I just have the hardest time being creative when I need to make cards for men. And it seems I'm always in need of this type of card. Here's one birthday card I came up with recently. 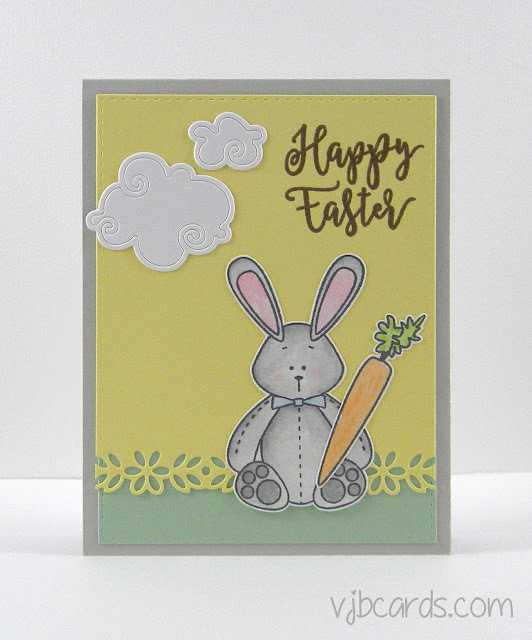 I'm not totally happy with it (something about the "happy" just doesn't seem right), but it has been sent on it's way. 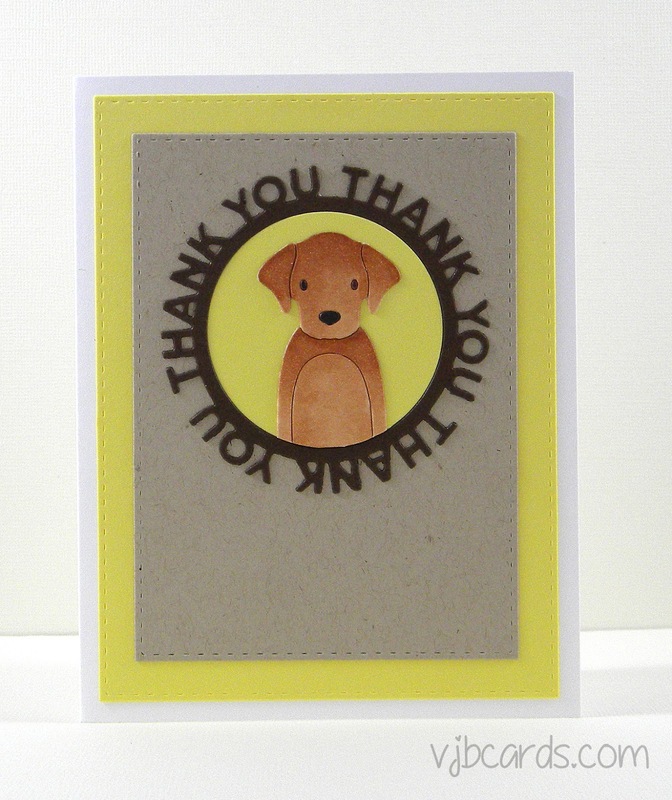 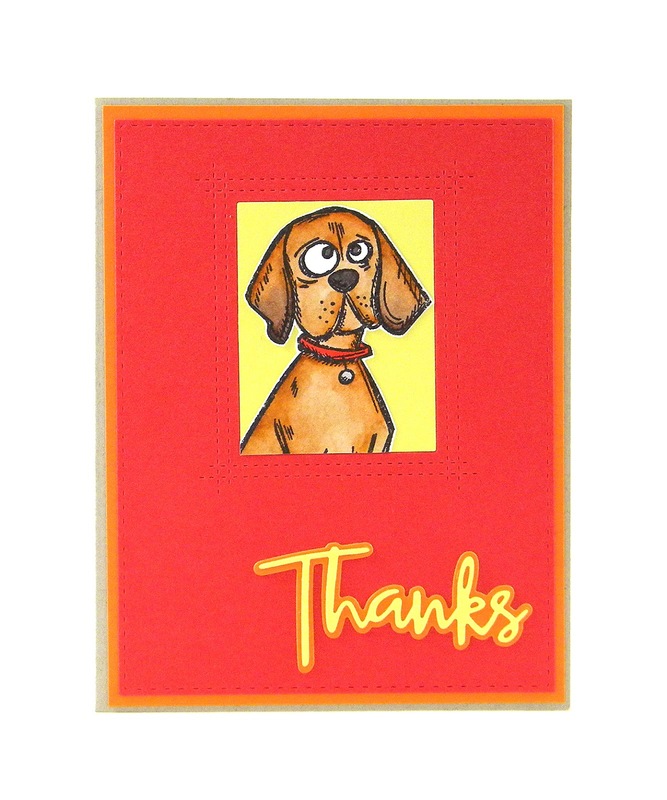 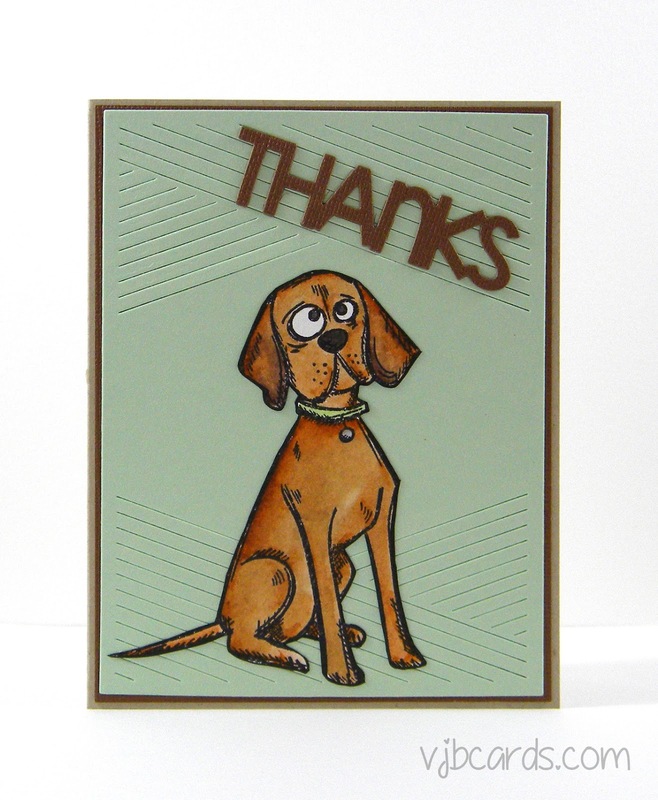 Today I have several more "brown dog" thank you cards that I made for my niece. 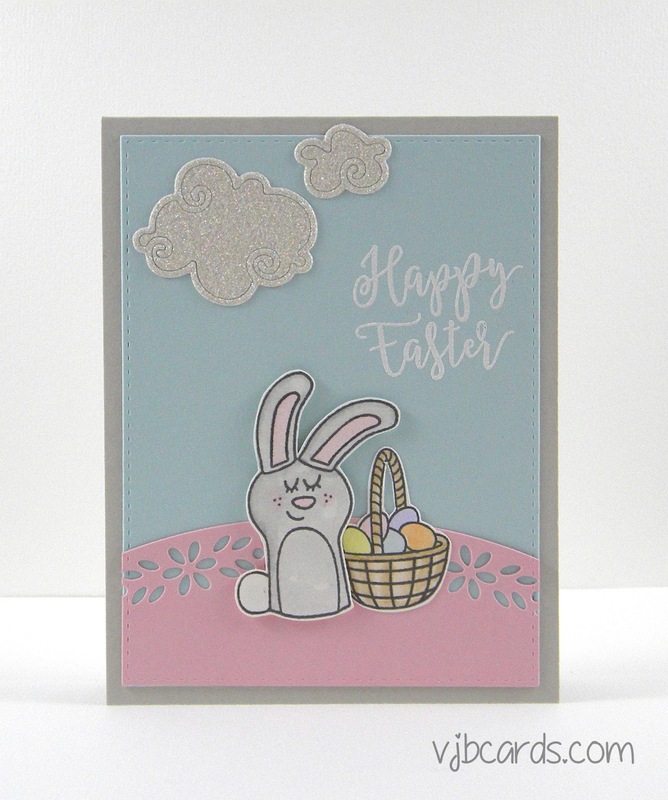 I recently made a few cards for my niece. 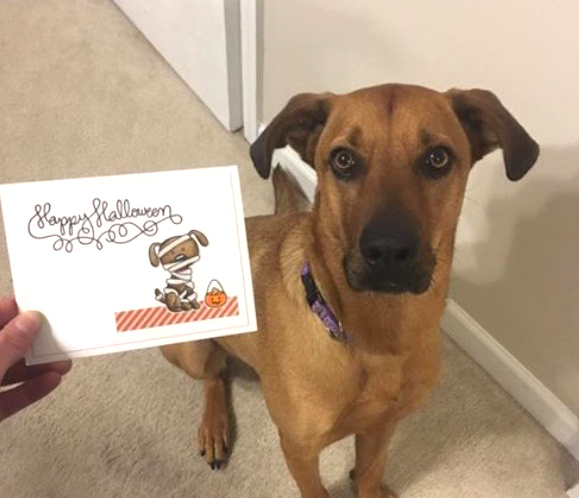 In the past I've sent her cards featuring brown dogs that looked "similar" to her dog. Here's one. 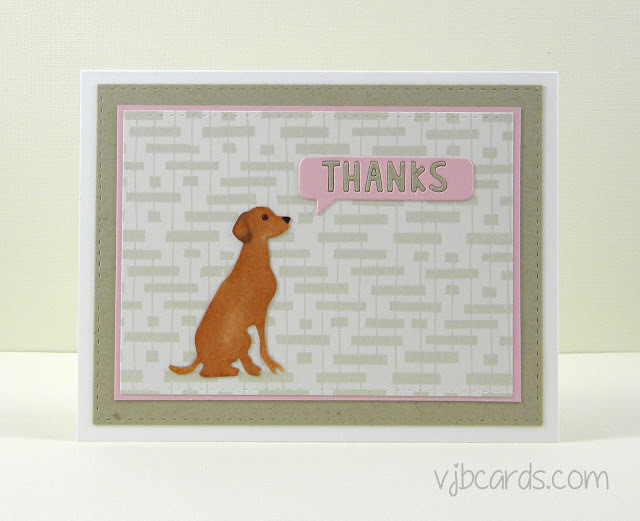 She needed some thank you cards and asked if I could incorporate brown dogs in them. Here are two that I made for her.